Sweet Frugal Life is a participant in the Amazon Services LLC Associates Program, an affiliate advertising program designed to provide a means for sites to earn advertising fees by advertising and linking to Amazon.com. As an amazon associate I earn from qualifying purchases. I spent a wonderful week with my sister in the mountains. We took walks, watched movies, played games, and enjoyed getting out of our daily routines. 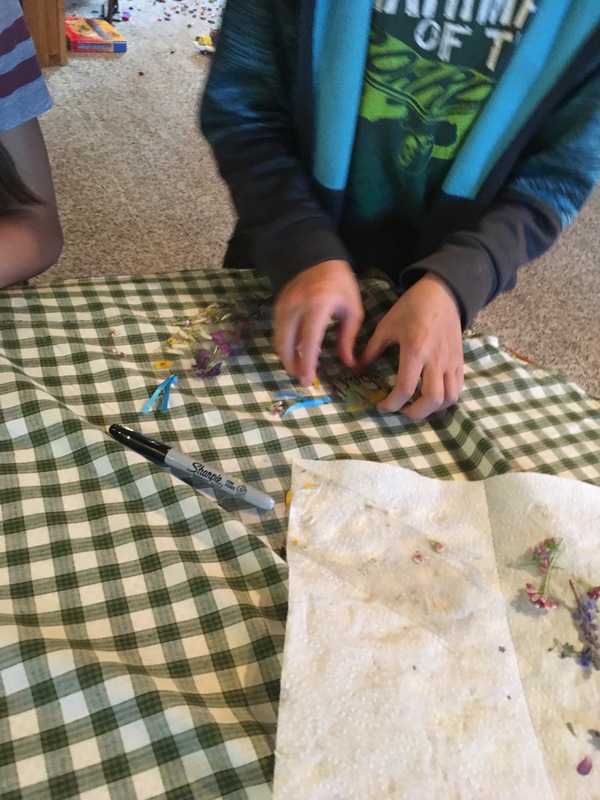 My sister planned such a fun simple nature craft for the kids to do. I loved it so much and felt like it would be perfect for camping or a nature study. First, you will need to collect flowers, leaves, and any other thing that catches your eye. this made for a really fun nature walk. 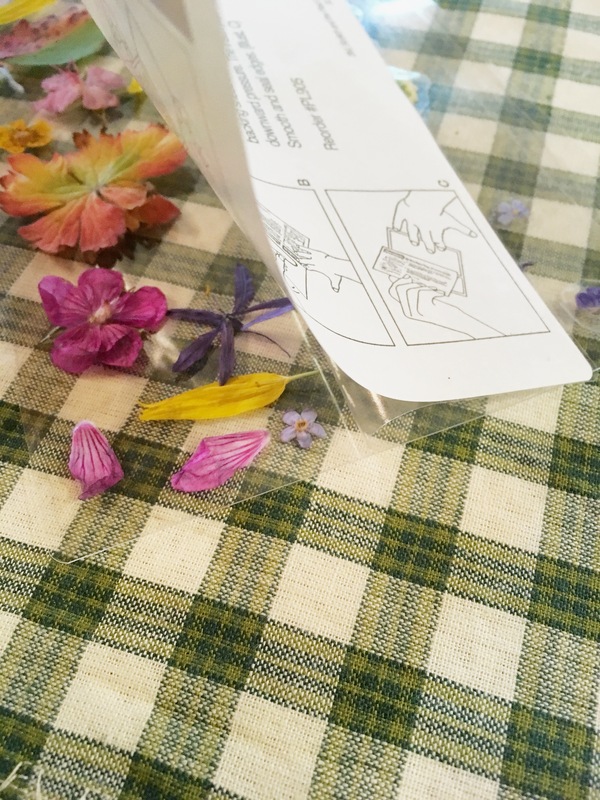 Once you gather your flowers you will need to press them. We laid our flowers on a paper towel and put books on top to help press them. We kept them under the books for about 6-7 hours. 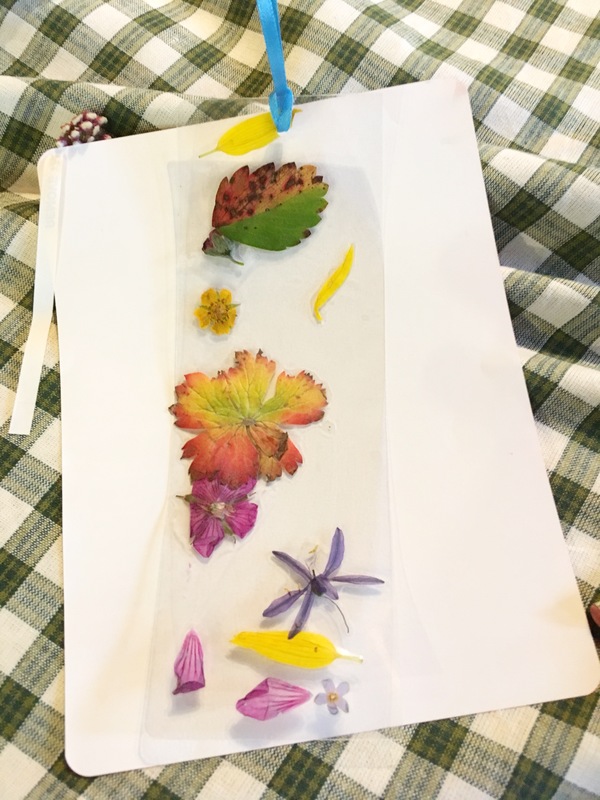 I found that this wasn’t enough time for the flowers to dry fully. I would recommend at least 24 hours. 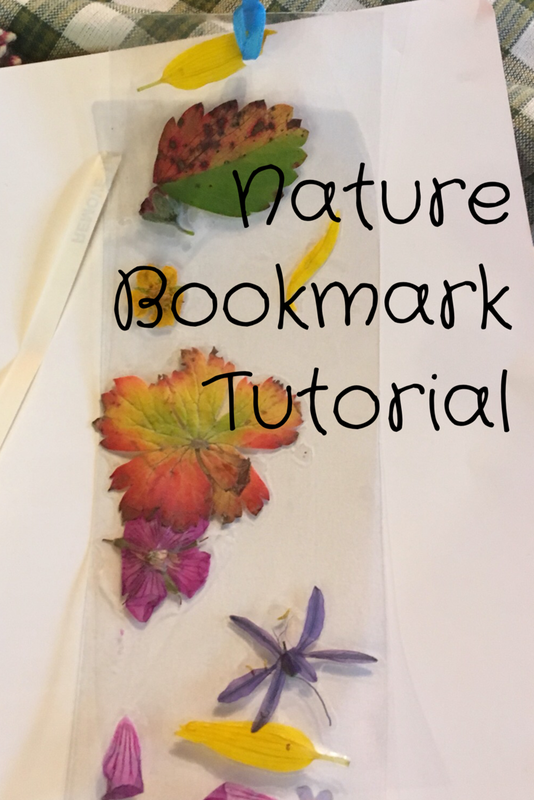 Once your leaves and flowers are dried it’s time to start designing your bookmark. My sister used Self Laminating Pouches to give the bookmarks a nice strong seal. 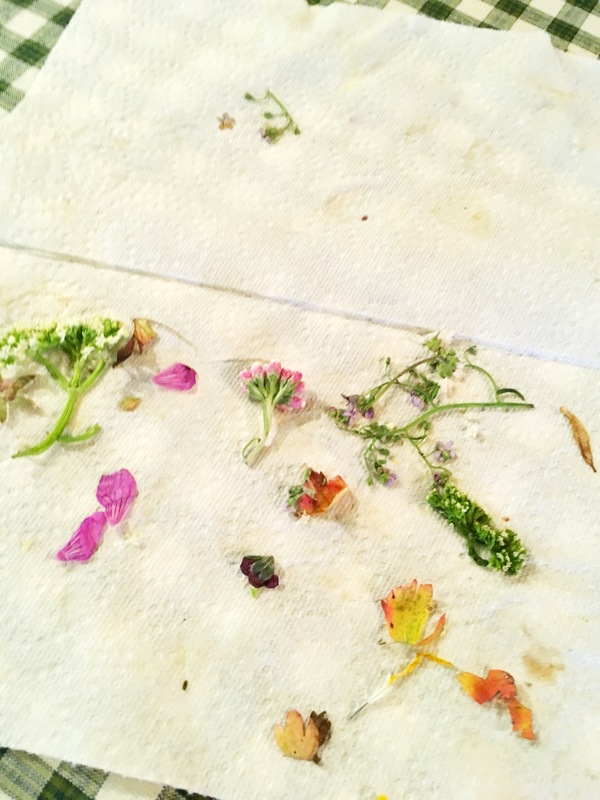 You will lay your flowers down on the non sticky part of the pouch. This is the fun part! The kids loved spending time getting their bookmarks to look just right! We were able to get 2 bookmarks out of one pouch. 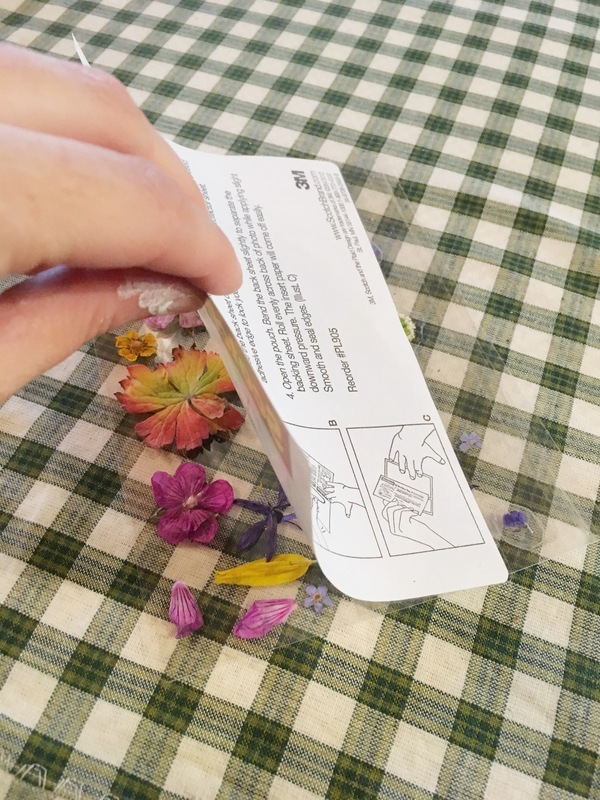 Once you have your flowers laid you will put the sticky part of the pouch on top. This part was tricky! It is hard to redo any mistakes, so you will want to take your time and be exact. 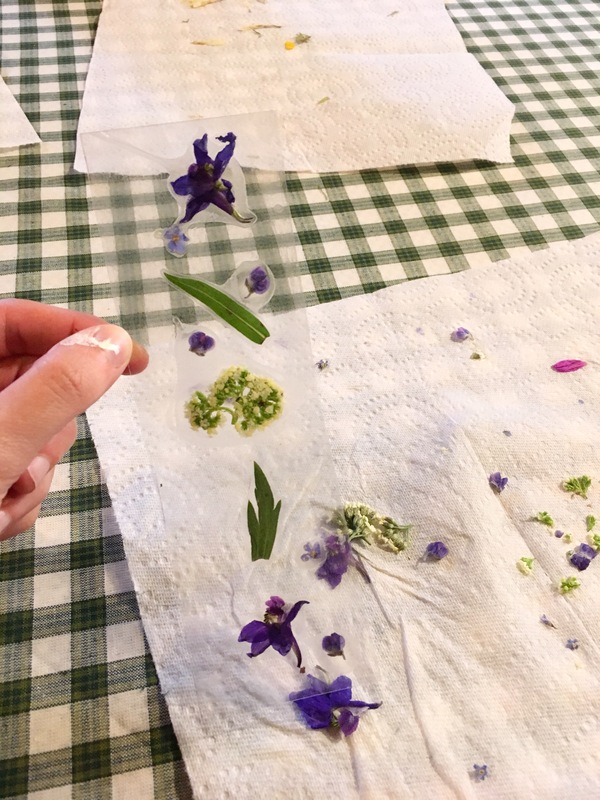 Slowly peel off the backing as you place the sticky side on top of the flowers. Be sure to press and seal as you are peeling it off. 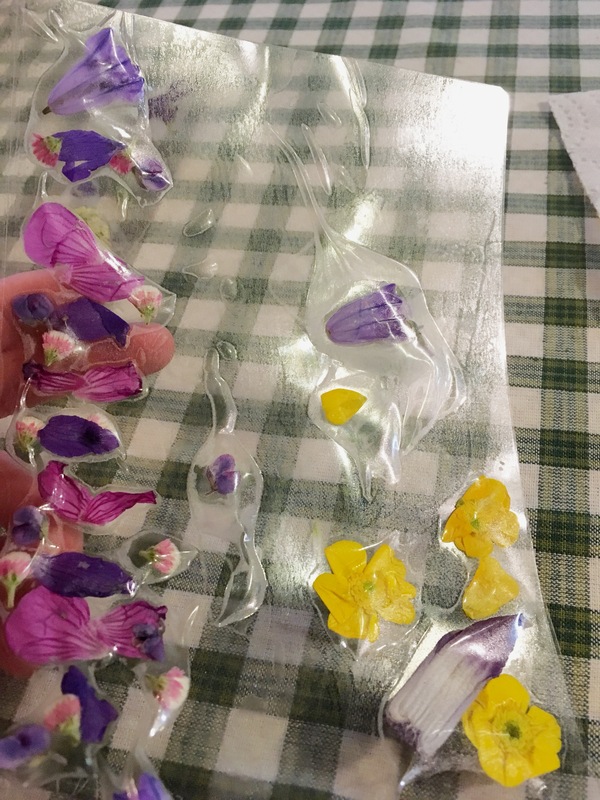 Once you have it all laminated and sealed just right you can cut your bookmarks in half, punch a hole through the top and thread some ribbon through for a nice top. 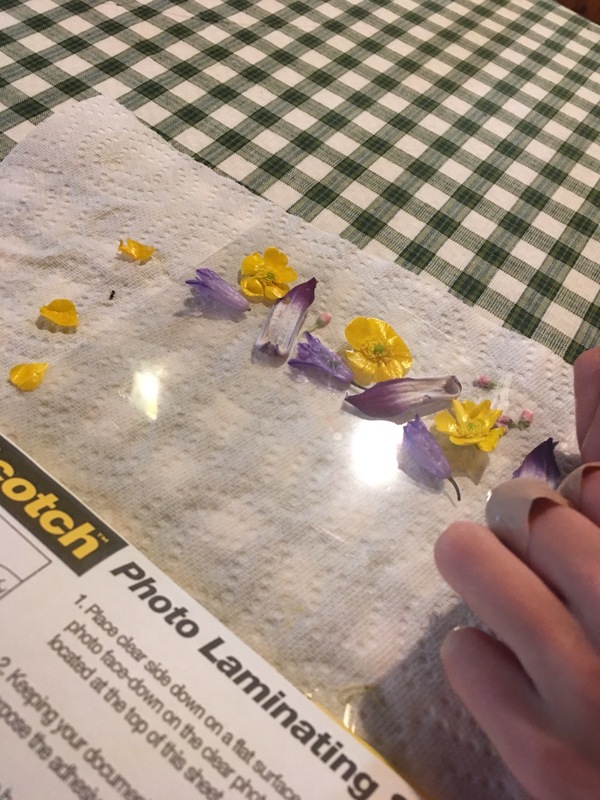 We learned a lot doing this craft and I am excited to try it again seeing if we can fix some of our mistakes. My kids have been so proud of these and excited to use them. 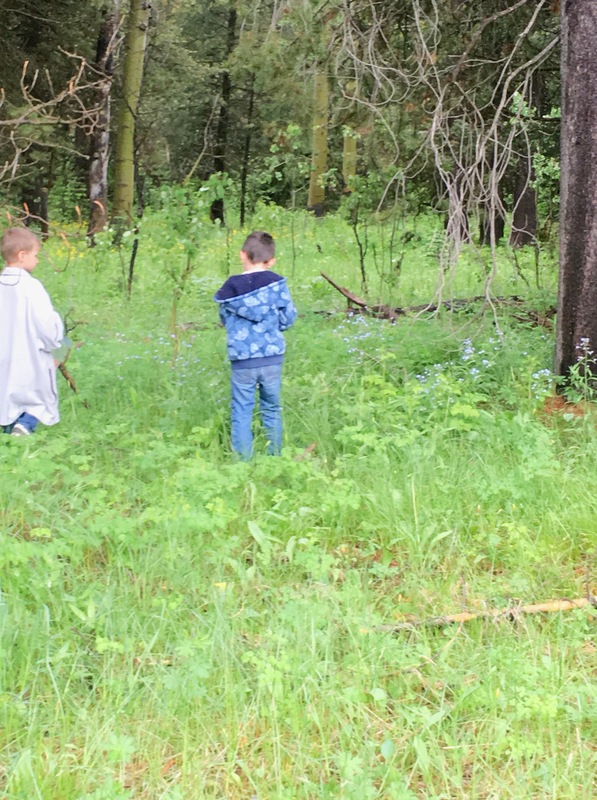 I hope that you and your littles will enjoy spending a little bit of time preserving nature. I love this idea. My grandsons will be staying with me for a few days and I’m looking for ideas. This looks fun.